The weather here in Charlotte was glorious today, so I went to the park to paint today! Felt so good to be in the sun! Day 24 done with the bridge at Freedom Park. 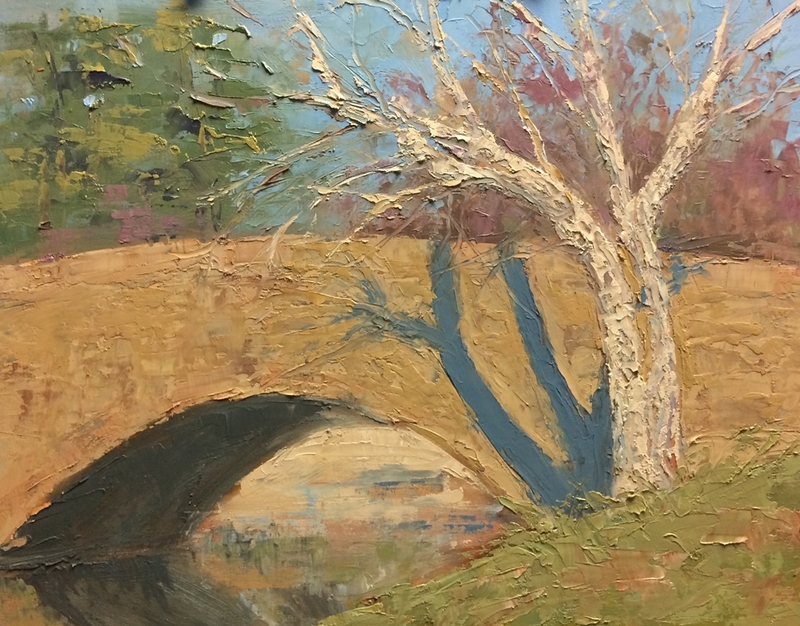 This entry was posted in 30 in 30 Daily Paintings, Palette Knife Painting, Strada Easel Challenge and tagged 30 in 30, Charlotte nc, daily painting, Freedom Park, landscape, painting from life, plein aire, strada easel on January 24, 2017 by Robin Wellner.